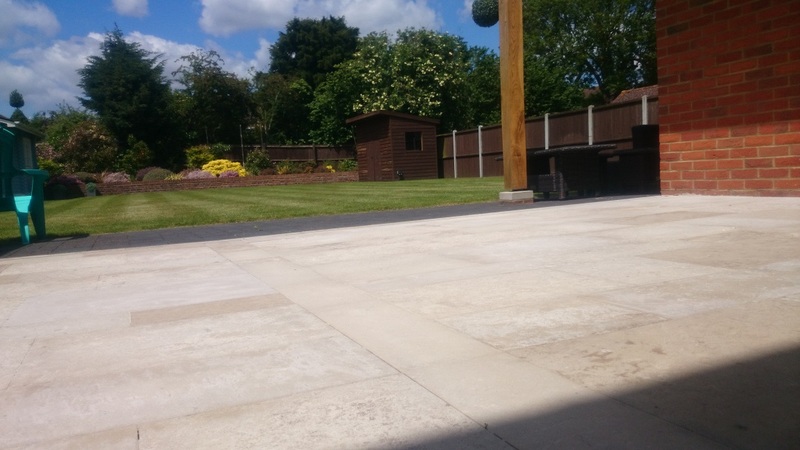 When stone is used outside it often gets green algae and blackspot, this can be difficult to remove and even harder to prevent from returning. 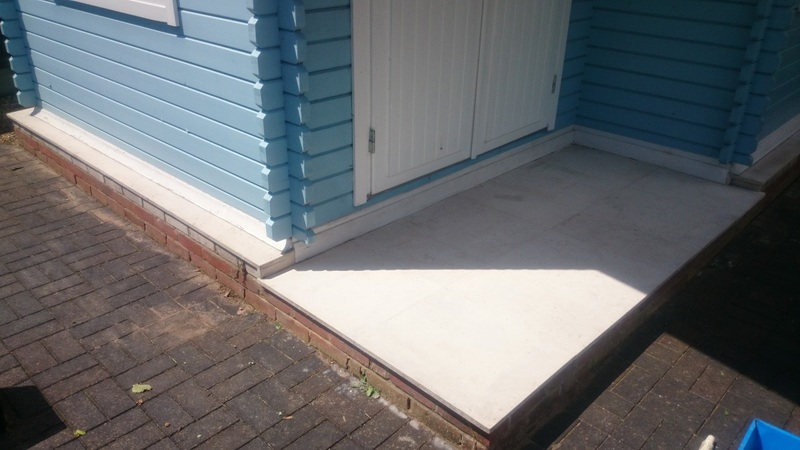 Bond Stone Cleaning have years of experience in all types of ourdoor stone restoration, including but not limited to Limestone paving to Sandstone cladding, Marble and Natural stone front steps to Travertine-Limestone paving. From cleaning, polishing to sealing. 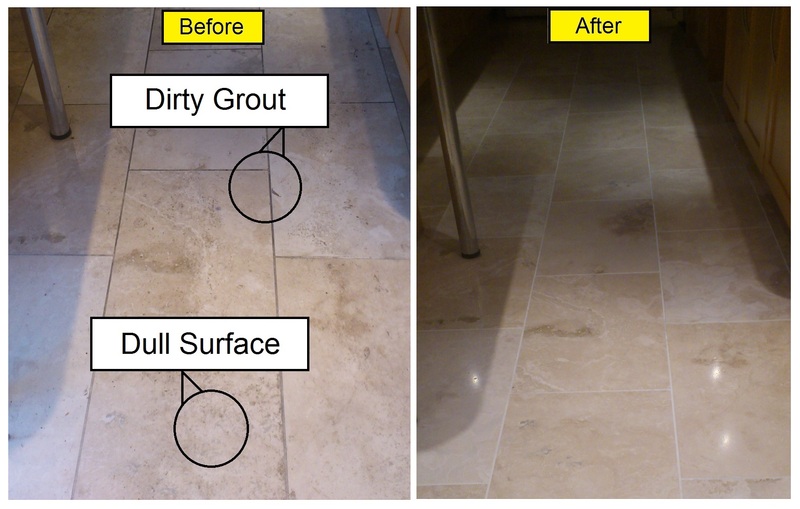 As jetwashing / powerwashing can damage natural stone the processes used will be correct for the type of stone you have. 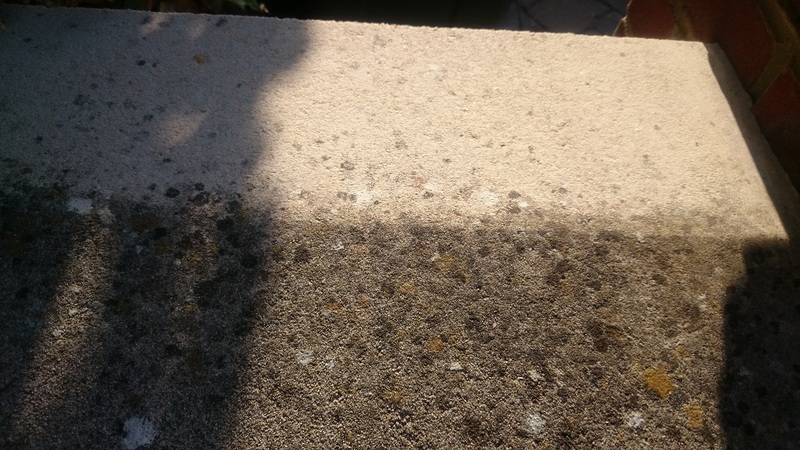 Below are just some of the images of outside stone work carried out by Bond Stone Cleaning. 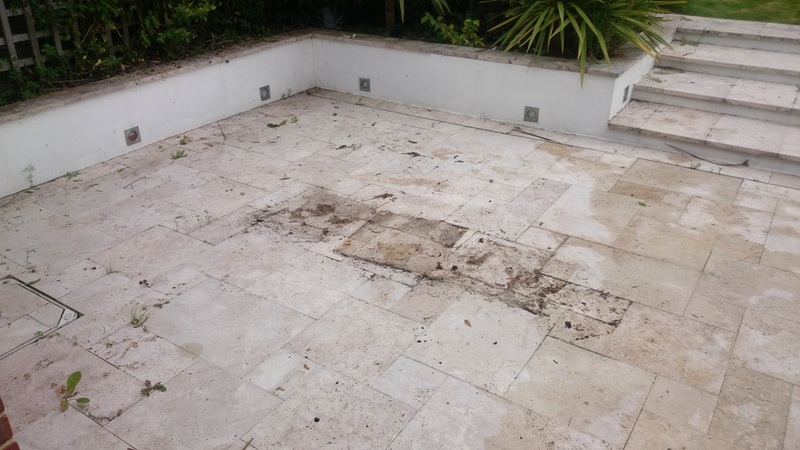 Above shows an Outside Limestone Patio area which was, cleaned, polished and sealed, Mr Dye from Surrey said "I am very pleased with it" & "it has come up better than I thought it would" - The process involved removing the black spot and algae with specialist stone algae cleaner, then deep-cleaning the stone with a specalist cleaner to remove other dirt and markings including some paint marks, after it was clean the surface was diamond polished to re-finish the stone top and bring out the colours, finally it was sealed to keep it looking better for longer. Below are other outside stone restoration works. Some of the cleaning chemicals keep working for upto 24 hours after application. 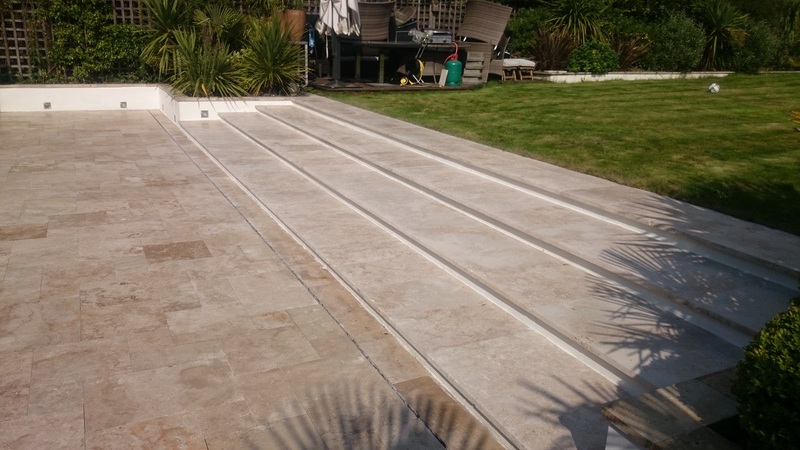 The cleaners used are profesional stone cleaning solutions which do not damage the stone like jetwashing / powerwashing would, this is especially important with outside sandstone and limestone work. 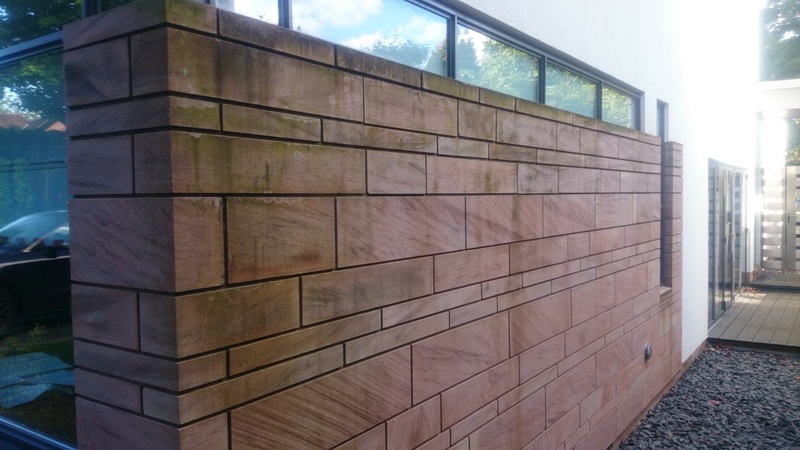 Above shows sandstone cladding before and after cleaning. FAQ: Why Not Just Jet Wash? 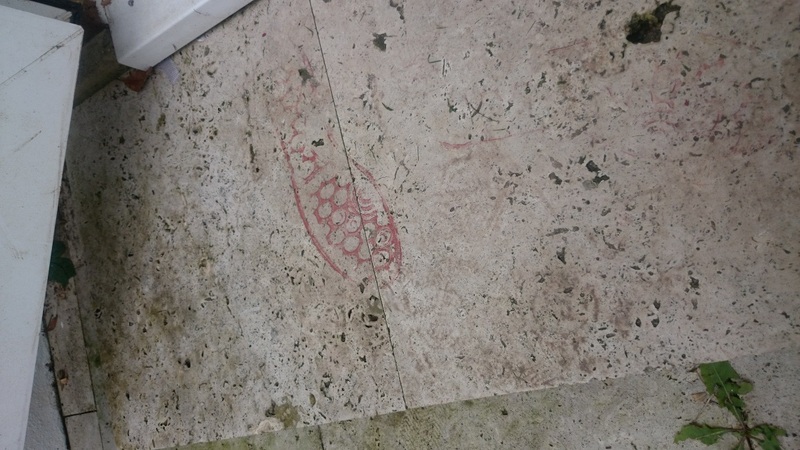 Two main reasons why Jwtwashing your outside natural stone is not be the best way. 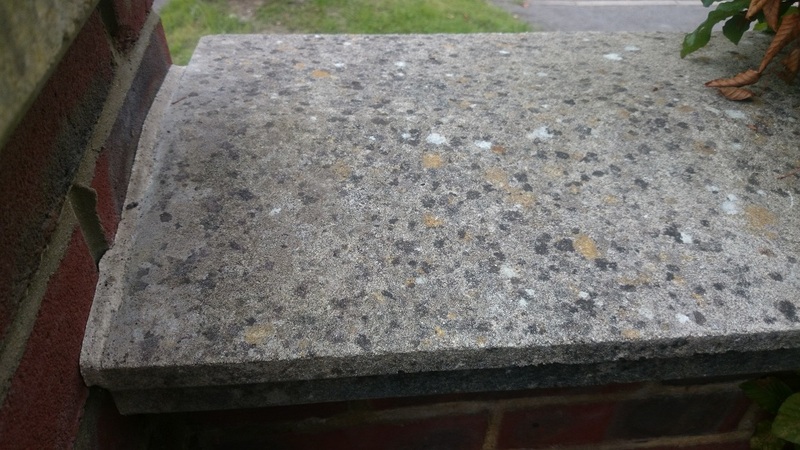 1) Jetwashing can damage the stone creating small pockets where water can sit, when winter comes these pockets fill with water, freeze and expand which damages the stone further and creates larger holes and the cycle gets worse year-on-year. 2) Black spot if not removed with suitable cleaning solutions will return quickly, the treatment used on most stones will kill off the algae spores which grow into black spot etc, this means it take a lot longer for them to return. Depending on which type of stone you have and its location sealing the stone can expand the life of you stone significantly. 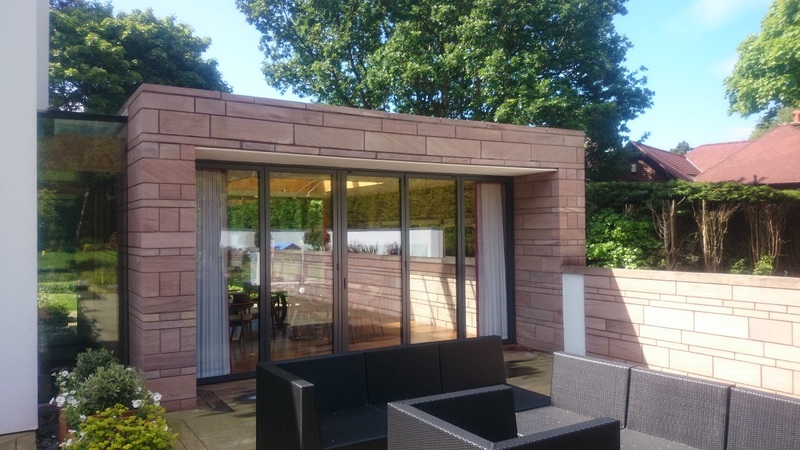 It is recommended that all fragile stones like sandstone, limestone are sealed to prolong its life, for more details and a FREE no obligation quotation please call 0800 007 5088 or 07940 855 883. 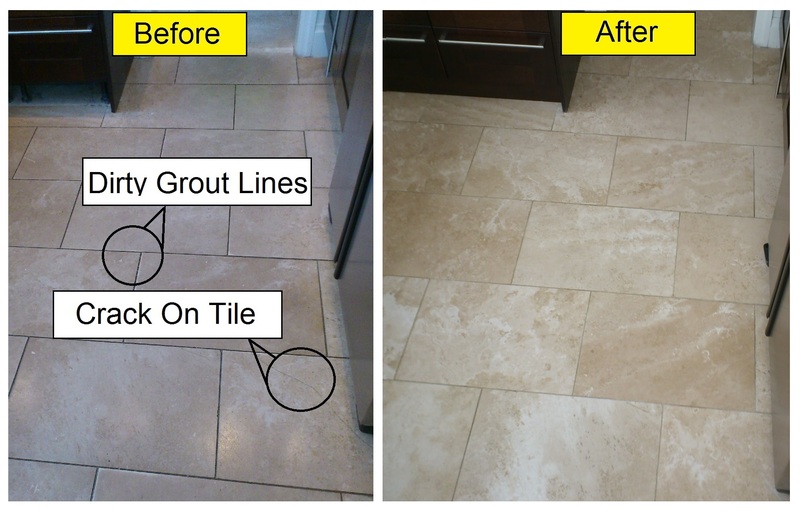 Bond Stone Cleaning also restore, clean, polish, repair and seal all types of indoor stone such as Marble, Travertine, Limestone etc as well as Porcelains, quarry tiles, victorian tiles. Please phone for a free no obligation quotation. 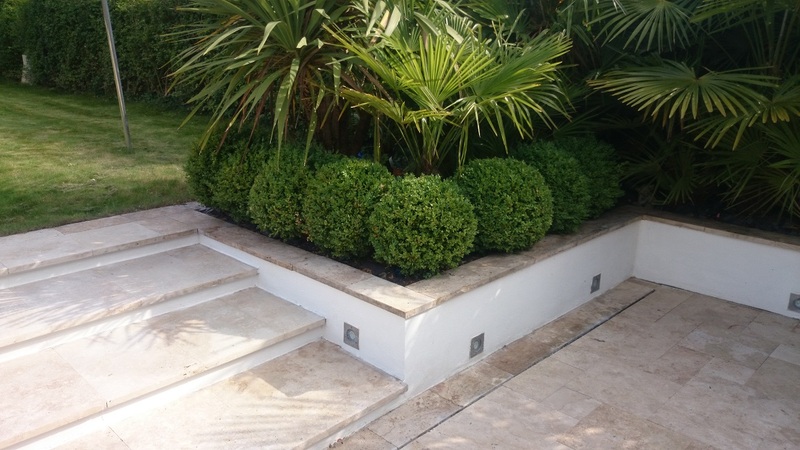 Outsdie work includes but is not limited to Limestone, Sandstone, granite patio, paved areas. 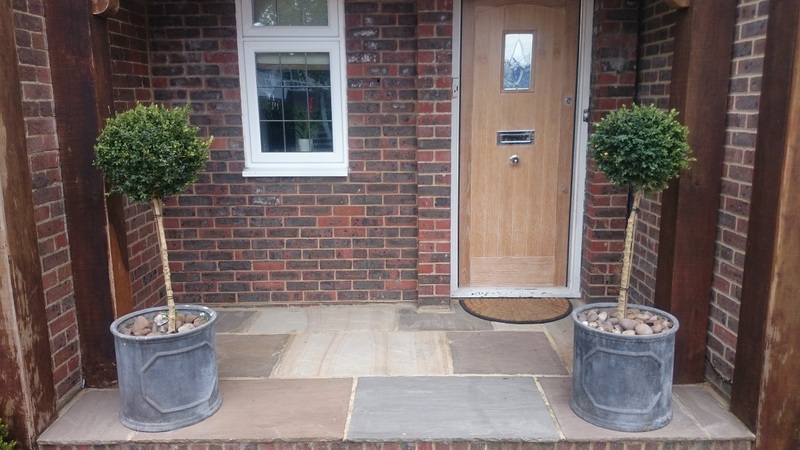 Stone, marble or Granite front steps, Natrual stone walls and wall tops / copings, marble. 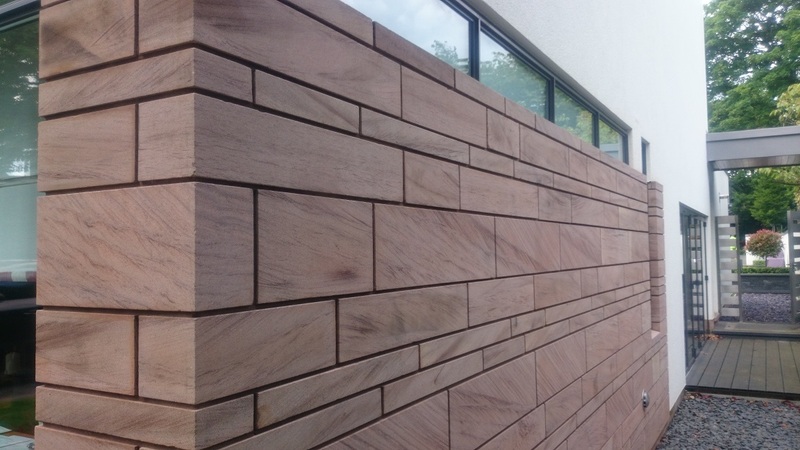 Sandstone, Limestone, Marble Cladding. 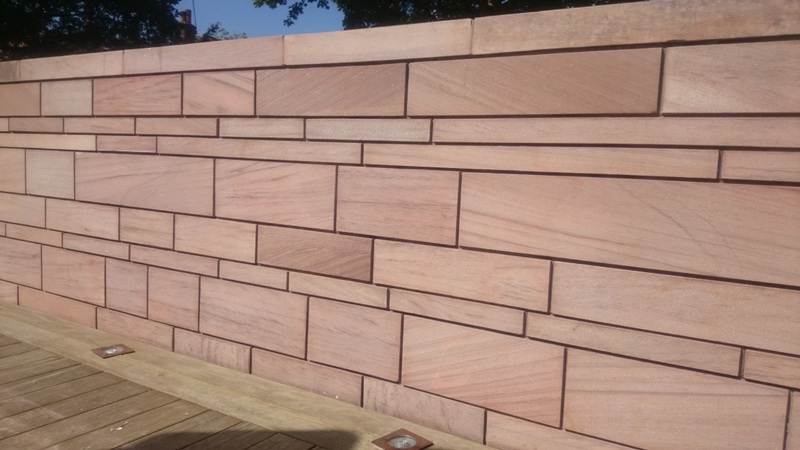 All sizes from the small Limestone or Marble Front Step to complete sandstone or limestone cladding.